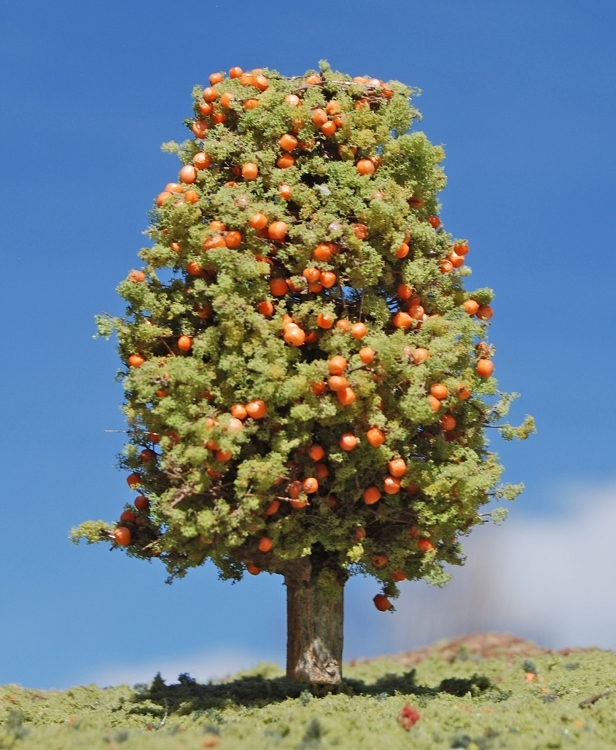 Timberline Scenery's Orange Deciduous tree is a beautiful and realistic addition to your scenery project or layout. Orange tree is a citrus summer green with oranges ready for the picking. Made with a real wood trunk for the ultimate in realism. Available in multiple sizes and compatible with model railroad scales Z, N, HO, S, O, and G. Let us grow one for you today.